Punta Cana is one of the most popular destinations in the Dominican Republic. It is known for its beautiful Caribbean beaches, all-inclusive luxury family resorts and vibrant nightlife. It is also considered a golfer's paradise with many golf courses scattered around. You can definitely have lots of fun in Punta Cana if you know what do to and where to go. From the capital city, Santo Domingo, it takes about four to five hours to get to Punta Cana if you're driving or using a taxi, depending on the traffic and circumstances of the day of course. The resort destination has many facilities that cater for visitors who want to stay active or are interested in activities like zip-lining, kite-boarding, windsurfing, fishing, kayaking and sailing. 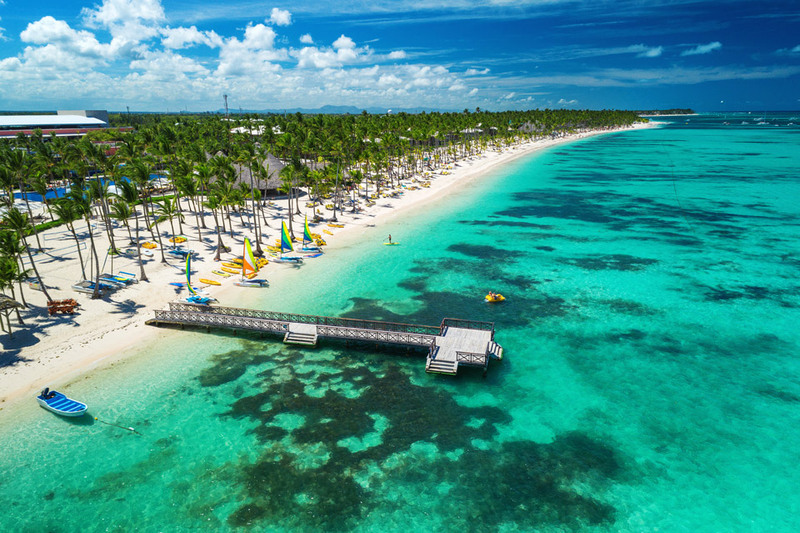 Even though Spanish is the official language of the Dominican Republic, English is spoken in Punta Cana so visitors would not have a problem. While it is not necessary, it does not hurt to learn a couple phrases in Spanish. Words to the wise, Punta Cana is a very popular destination, so if you don't like crowds then the best time to visit is around March through May. One of the many breathtaking beaches in Punta Cana. Some of the interesting locations in Punta Cana are Playa Uvero Alto, Higüey, Bávaro and Macao. If you want to be away from the hustle and bustle of the populated tourist spots, then Playa Uvero Alto is the perfect place for you. The secluded beach village is best known for its miles of coconut tree lined beaches. If you are interested in water sports you should also head there, as the area is ideal for surfing, windsurfing and sailing. There are many beautiful hotels in Playa Uvero Alto including Breathless Punta Cana Resort & Spa (Adults Only), Dreams Punta Cana, Excellence Punta Cana, CHIC by Royalton, Zoëtry Agua Punta Cana, Le Sivory By PortBlue Boutique and Now Onyx Punta Cana Resort & Spa. 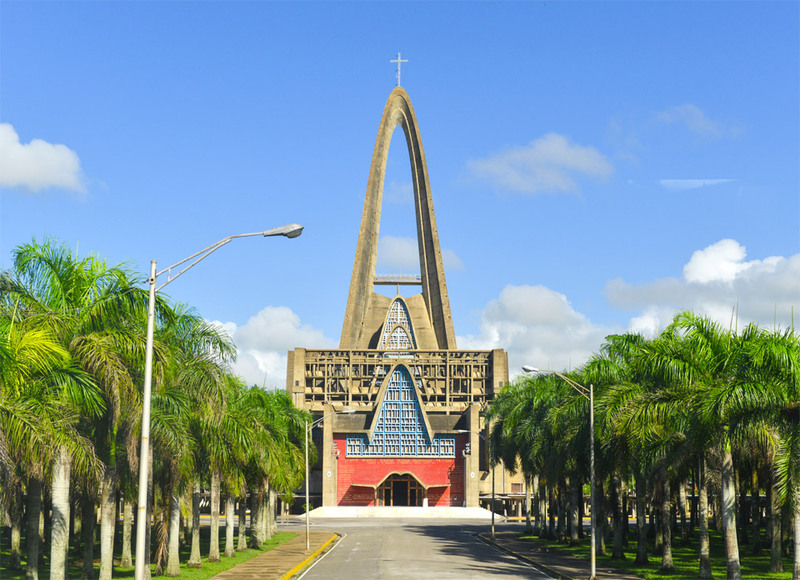 The main attraction in Higüey is the Basilica de Higüey Nuestra Señora de la Altagracia, which is the city's cathedral. If you are interested in local souvenirs, cigars, rum and Larimar jewelry (Larimar is rare blue variety of the silicate mineral pectolite found only in the Dominican Republic), then you can check out the markets of Plaza Higüeyana and the Higüey Public Market (Mercado Publico de Higüey)..
Basilica de Higüey Nuestra Señora de la Altagracia. If you are looking for beautiful beaches with white sand and clear waters that are not crowded, then those at Macao may be ideal for you. Located north of Bávaro, Macao is one of the new resort destinations in Punta Cana. Despite its development Macao still has a lot of open green spaces and is not overrun with resorts and hotels as yet. It is one of the reason visitors enjoy visiting the area. Bávaro is considered one of the most popular places for tourists visiting Punta Cana and is home to many all-inclusive hotels. Located about thirty-five minutes from the Punta Cana International Airport, Bávaro also has a variety of water, adventure and amusement parks. Some of those parks are the Bávaro Adventure Park, Manati Park, Bahia Scouts Water Park at the Grand Bahia Principe Bávaro and Dolphin Island. In the village of El Cortecito you will find locally made souvenirs and gift items in the many stalls at the open-air market. You will also find popular restaurants like Capitan Cook, Bella Napoli and Citrus Restaurant there. Breathtaking aerial view of Bavaro, Punta Cana. The language spoken in Punta Cana is Spanish, but like I mentioned before English is widely spoken at resorts and many other establishments. There are several things you should know about Punta Cana if you plan to visit. Make sure you have US cash when you arrive at the Punta Cana International Airport, as you will have to pay US$10 for a visa card. US currency, as well as major credit cards are accepted. The official currency of the Dominican Republic is the Dominican Peso (DOP). Most all-inclusive resorts are about 30 minutes away from the Punta Cana International Airport so it is wise to organize and confirm transport arrangements beforehand. Most resorts will have shuttles available to guests. Electrical plugs in the Dominican Republic are typical to those used in the United States (110v). If you are from Europe, then you will need to get an adapter/ converter. It is advisable to walk with a surge protector to protect your expensive devices from electrical surges, which are common. As is the norm with many popular tourist destinations you have to be careful with scams which target tourist, especially credit card scams. If you do use your card, don't take your eyes off it. 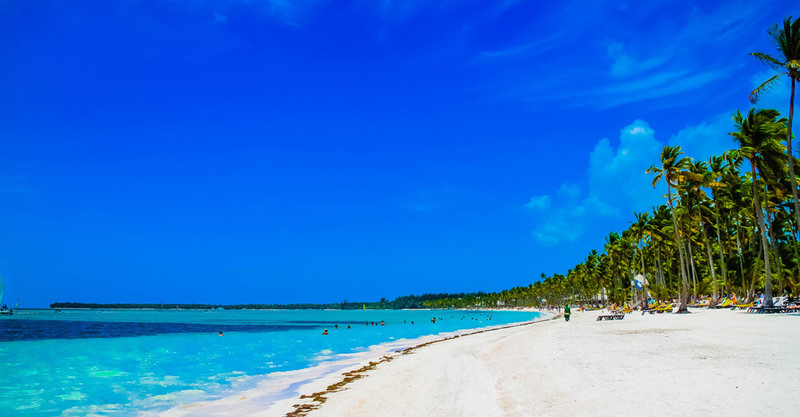 Remember that Punta Cana is a popular vacation destination for Europeans as well as North Americans so if you plan to visit during peak season, then you should expect the crowds. This however, should not stop you from enjoying the many miles of beautiful beaches. If you don't like the crowd, then March to May is a better time to visit. Punta Cana tip: If you can't do without the internet it's better you buy a sim card with internet which costs around three dollars. Most resorts have a lot of activates that guests can take part in, but if you get bored here are a couple of things that you can do in Punta Cana. If you are looking for adventure, then check out Scape Park in Cap Cana. At the park you will find various caves, caverns and natural lagoons. 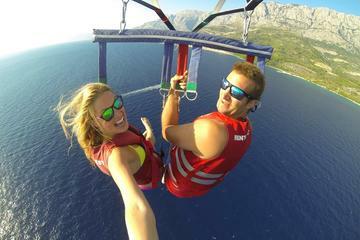 Activities include zip-lining, Eco-tours, horseback riding and cave expeditions. If you love dolphins, then you should definitely visit the Dolphin Discovery in Punta Cana. There are several different packages to choose from including Dolphin Encounter, which caters for visitors of all ages and is ideal to do with kids. One of the more exciting activities is the Dolphin Royal Swim Memories. You get to swim and interact with the dolphins in the sea. 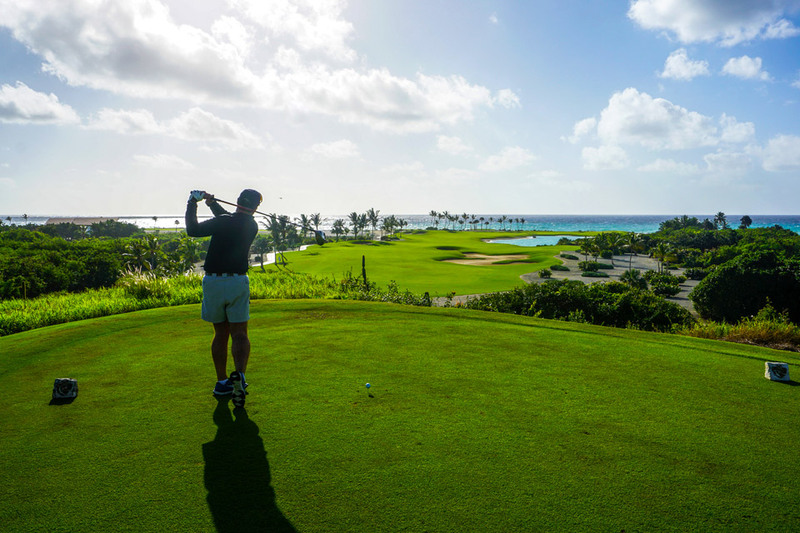 If golf is your thing, then you can have a couple rounds either at the Punta Espada or La Cana Golf Courses. The Punta Espada is a Jack Nicklaus signature with a par-72 course. The La Cana is reportedly less costly and crowded, plus there are four holes along the seafront. It's ideal for golf and enjoying the breathtaking scenery. While La Cana is not as crowded it is popular so you should book well in advance. Punta Espada Golf Club, Punta Cana. The theme park is home to more than 150 species of animals, natural wells and five shows featuring sea lions, dolphins, horses and other animals. One of the popular features at the park is swimming with the dolphins. You can also check out the traditions, dances and rituals of the Taino people, as well as visit a Taino village. You can also have a swim and enjoy the refreshing water of the natural wells. Food and snacks are available at the park. The privately owned and protected nature reserve is managed by the PUNTACANA Ecological Foundation and features a petting zoo, cultural exhibits, a sugarcane exhibit and five natural swimming pools as well as an iguana habitat. While the park is open daily for guests of the Puntacana Resort and Club, other visitors can gain access by booking a package with Segway Eco-Tour. If you're a chocolate lover and you have always wanted to learn more about chocolate and how it is produced, then you can check out the ChocoMuseo at Mundo Autentico or at ChocoMuseo at La Mar Punta Cana. At Mundo Autentico you can visit the free museum and learn about the production process and history of chocolate. You can also do a paid Mini Chocolate Workshop or the more complete and popular Bean To Bar Workshop, which will cost more of course. With the latter you make your own chocolate starting from scratch with cocoa beans. There are many exciting adventures you can do in Punta Cana and its surroundings. Check out some of these tours. Experience the thrill of four adventures in one with this epic tour from Punta Cana. Relax and spend time aboard a double deck catamaran. Discover wonders of the sea and and enjoy close encounters with marine life. This small-group sailing and snorkeling catamaran tour is limited to 16 guests so you can receive personalized attention. Go swimming in a natural reserve, snorkel in crystal clear water and enjoy drinks and fun on the boat. 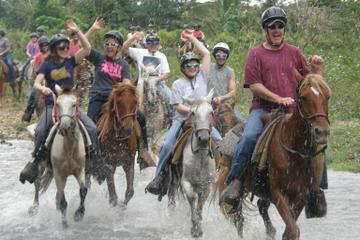 Punta Cana River Horseback Riding and Zipline Tour - a day of adrenaline pumping fun! A horseback riding tour with a canopy zipline adventure is a great way to take in the gorgeous scenery of Punta Cana! Walk, trot or gallop - depending on your skill and preference - along the Anamuya River. Have you ever visited Punta Cana? We would love to hear about your experience?